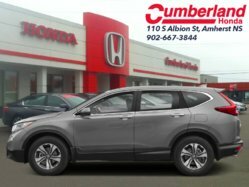 Heated Seats, Automatic Braking, Lane Keep Assist, Rear View Camera, Apple CarPlay! 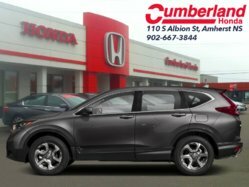 With a sleek exterior, tech filled interior, and performance to boot, the 2019 Honda CR-V is a real showstopper. Ready to take on every road you choose, the 2019 Honda CR-V will turn heads on every corner. 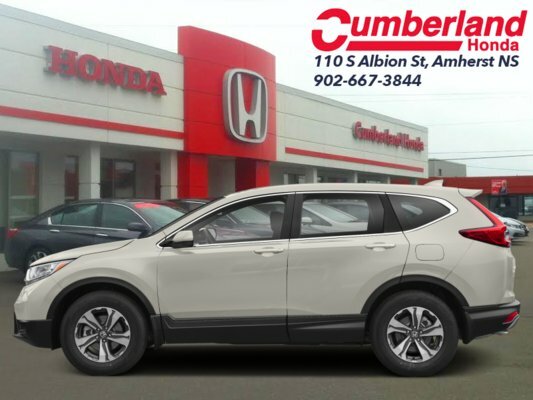 No matter the crowd, be sure to impress them with the 2019 Honda CR-V. This platinum white pearl SUV has an automatic transmission and is powered by a 1.5L I4 16V GDI DOHC Turbo engine. 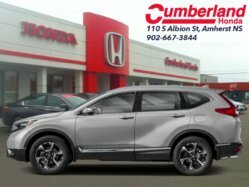 Given that thrifty motor it gets 8.7 L/100 km in the city and uses just 7.2 L/100 km out on the highway according to Transport Canada. 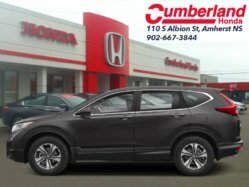 Our CR-V's trim level is LX AWD. 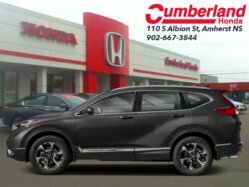 Stepping up to the all wheel drive version of the LX gets you automatic high and low beams and a host of safety features such as automatic collision mitigation braking, forward collision warning, lane departure warning, road departure mitigation, and lane keep assist. Other luxury features include dual-zone automatic climate control, remote start, heated seats, LED daytime running lights, heated power mirrors, and aluminum wheels. This AWD SUV also has the 7 inch touchscreen HondaLink infotainment system with HandsFreeLink bilingual Bluetooth, Apple CarPlay, Android Auto, rear view camera, and a 4 speaker sound system This vehicle has been upgraded with the following features: Heated Seats, Automatic Braking, Lane Keep Assist, Rear View Camera, Apple Carplay, Android Auto, Remote Start. 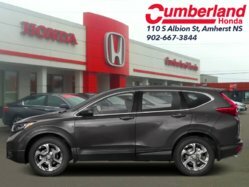 To view and download a brochure open this url https://www.honda.ca/Content/honda.ca/029d87cc-a280-4616-beb4-7f0e82f0b48e/ModelPage_Downloads/HON20164_02_19MY_brochure_CRV_EN_V4_online.pdf.